The first step to determine whether to apply for TheDream.US scholarship is to confirm that you are eligible for either our Scholarship for high school graduates or our scholarship for community college graduates. The criteria are set forth below. If you have graduated or will graduate from high school or a GED program by the end of the Spring 2019 term this scholarship may be for you! You are not eligible to apply for or receive TheDream.US scholarship if you have been enrolled in a 4-year institution or a 4-year program. If you have taken community college classes as you could afford them, you may still apply for our High School Graduate Scholarship so long has you have not earned more than 21 college credits at a community college. College credits earned in a dual enrollment program while in high school are not counted as part of the 21 credits. If you have or will graduate from a community college by the end of the Summer of 2019 and do not have the financial resources to complete your bachelor’s degree at a 4-year university, this Scholarship may be for you! 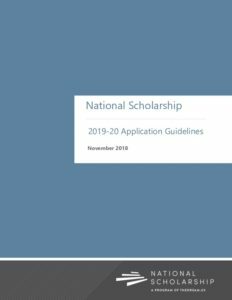 Please Note: You are not eligible to apply for Community College Graduate Scholarship if you have been or are enrolled in a four-year institution or a four-year bachelor’s degree program.